Crystal skulls are human-skull hardstone carvings often made of clear or milky white quartz known as “rock crystal.” They are allegedly pre-Columbian Mesoamerican artifacts and can be found in the permanent collections of a number of world-class museums, including the Smithsonian and the British Museum. 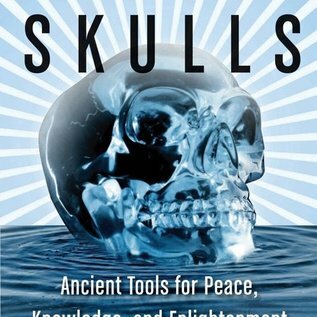 In occult and metaphysical circles, the skulls have magical and healing qualities:, Anna Mitchell-Hedges (owner of a particularly famous skull) claimed that the skull could cause visions and cure cancer and that its magical properties could be used to kill.Drunvalo Melchizedek claims in Serpent of Light that he stumbled upon descendants of the ancient Mayans who possess crystal skulls for use in religious ceremonies in Yucatan temples.Jamie Sams writes of the skulls’ association with Native American mythology. 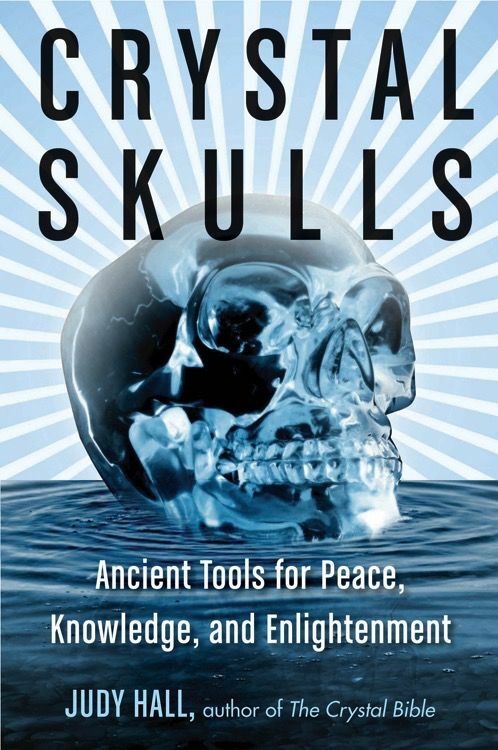 Also included here in this stunning introductory text is an examination of the prominent “skull keepers” of the past 100 years and how to use and communicate with a crystal skull. This is a terrific book for those interested in occult and ancient mysteries and/or the power of gems and crystals.